It all started in the Men's Room where I was pretty sure poster artist/painter legend Drew Struzan was washing his hands next to me. 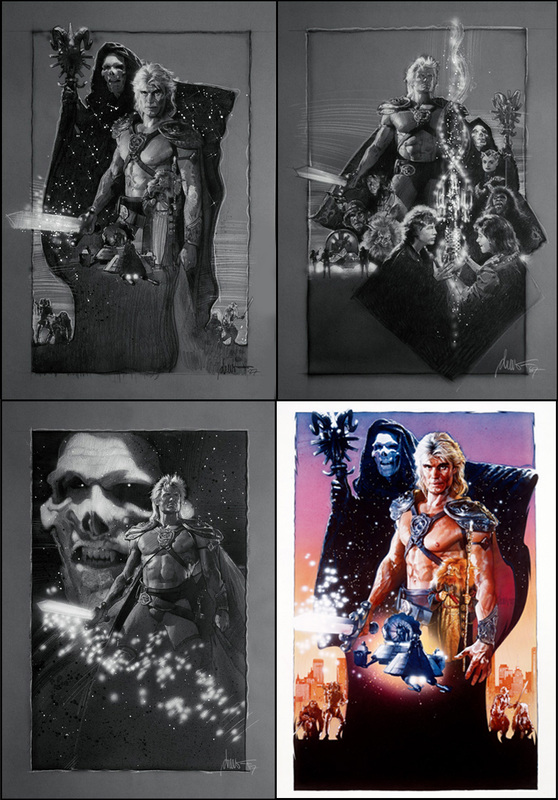 I wanted to ask him about his awesome poster for 1987's Masters of the Universe but didn't want to bother the guy who produces vibrant and inspirational work but is a soft spoken, no ego type. Tonight's panel was the culmination of four years of hard work from a dedicated group of admirers and fans. They had traveled the world and interviewed the likes of Steven Spielberg, George Lucas, Guillermo Del Toro, Harrison Ford, Thomas Jane, Michael J. Fox, Frank Darabont and Steve Guttenburg. 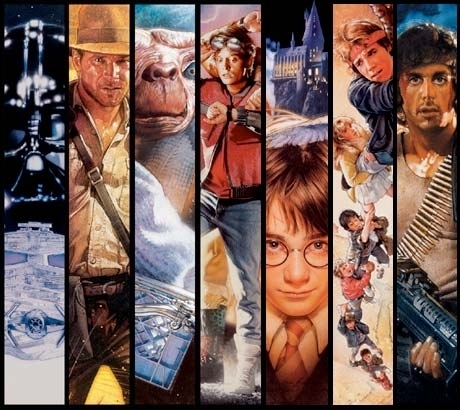 All of whom consider Struzan the gold standard of movie poster artist for the last three decades. Now this labor of love is finally complete and the resulting 95 minute documentary is ready for the rest of us to enjoy. Struzan was humble, introspective and humorous to all of the accolades. The artist referred to a hard life and upbringing; the first person to show him love was the woman he married. He feels blessed to been able to pursue his passion and have met so many people he now considers friends. The panel included two special guests, How To Train Your Dragon writer/director Dean DeBlois and actor Sam Witwer from The Mist and TV's Being Human. DeBlois recalled his quest to have the semi-retired Struzan work on the sequel to Dragon. While Witwer commissioned some work for his show, to which Struzan obliged but only do if he could paint Witwer and his girlfriend for fun. Witwer's story led into another tale of when Struzan taught Thomas Jane (The Punisher, Deep Blue Sea!!!!!!!) the basics of looking like he could paint for The Mist. Struzan says Jane had the actions down pat but in the actual movie, took the advice of a loud mouth on set and forgot all he had been taught. When Jane asked Struzan what he thought, Struzan just shook his head in dissatisfaction. Towards the end of the panel, there was a knock at the locked exit door. Seconds later, we realized Jane was crashing the panel to pay his respects to a friend and inspiration. Right away, Jane told the story from The Mist we had just heard. Struzan teased Jane about his long hair ("I'm supposed to do a western.") and you could see they were actual friends. Jane then suggested we all march up the street to the local theater playing the documentary to coincide with Comic-Con. Another friend of the man behind so many great posters (seriously, Back to the Future, The Goonies, Indiana Jones, Star Wars, Big Trouble In Little China) is George Lucas, who was the first interview for the documentary. Their working relationship basically consists of Lucas asking if Struzan wants to do the picture then Struzan FedEx-ing the results. The two finally met at a premiere party for Spielberg's Hook where someone who didn't know Struzan casually told him how excited Lucas was to meet him. It was a great panel showcasing one of the unsung heroes of cinema. You might not know his name but you definitely know his work. The documentary is out now through Kino Lorber.